Emma in Bromley: Does money make you (people) happy? It's not that I think money itself make you happy, I just think money helps to attain the things to help make you feel happy - after all icecream doesn't grow on trees! The Perfect World Project - A new TV series (casting now) is setting out to test the question and find the answer. The TV show will have 10 contestants tackling challenges with one person being given an opportunity to live a VIP lifestyle for 3 months with the help of a 6 figure sum VIP concierge Perfect World card. I think, like with everything, the answer is all about balance really it's the people that we love that make us happy - for me it's all about my lovely hubby and wonderful children, but it would be great to live without the stress of money - to be able to go to the supermarket without worrying about the food budget, to say yes to a spontaneous day out at the zoo (I had to say no to a trip to London Zoo after I realised it was going to cost about £125 for the day) I'd love to extend our family home and really make it work for our family and I'm bitten with wanderlust - there is so much of the planet I'd love to see! What about you? Does money make you happy? What would you do if you won the Perfect World VIP card? Casting has begun for a brand new reality TV series which will set out to answer the eternal question; does money make people happy? 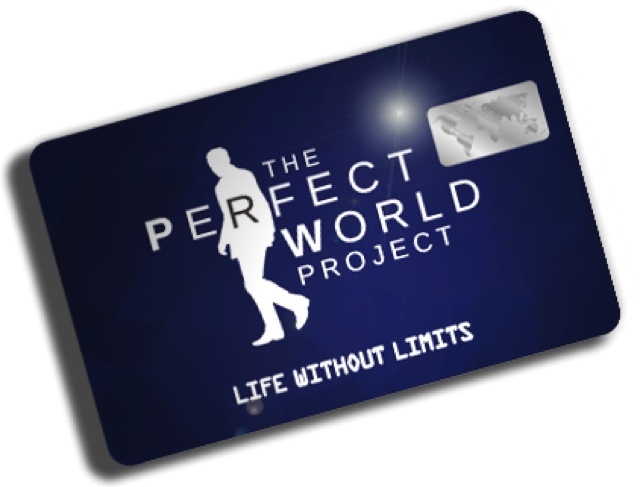 In a unique social experiment, The Perfect World Project will see 10 contestants battle it out in a series of challenges, after which one person will be awarded with a VIP ConciergePerfect World card, loaded with a six-figure sum. For three months he/she will have the chance to do as they wish, living a life as close to perfection as possible with VIP treatment at every turn. Following the VIP experience, the winner will then act as ‘The Perfect World Ambassador’, sampling luxury goods and services for the following year as well as acting as spokesperson for the following seasons. Russ Priestley, Lancashire-based entrepreneur and mastermind behind the ground-breaking project, says: “Does money make people happy? Everyone thinks they know the answer, but this is a chance to really put it to the test. “I’m going to give someone everything they ever wanted, by giving them the opportunity to live a life without limits for three months. The real question is will living a life of luxury be a chore, or will they find true happiness? The application process is well underway with filming to be announced. Disclaimer: I've been informed that I will be receiving a thank you gift for helping to spread the message of this exciting new show.